Copyright: © 2016 Shah RK. This is an open-access article distributed under the terms of the Creative Commons Attribution License, which permits unrestricted use, distribution and reproduction in any medium, provided the original author and source are credited. Incidence of femoral shaft fracture was 1.33 fractures per 10,000 people in the US in 1994 . The annual incidence of midshaft femur fractures, as shown by a Swedish study is approximately 10 per 100,000 person-years in 2009 . The incidence peaks among the young, decreasing after age 20, and then again in the elderly. The annual Incidence in different published series has increased at 10% per year. Etiology of fracture being motor vehicle accidents, fall from height and domestic accidents. However, the causes of Nonunion have never been analyzed well. The treatment of femoral shaft fractures gradually evolved from conservative methods like traction, cast and braces to operative methods like intramedullary nailing, plating and external fixation. Since its introduction in the 1970s, interlocking intramedullary nailing (IIMN) has gradually evolved as the gold-standard technique in the treatment of long-bone fractures till date [3,4]. The IIMN method soon became highly popular worldwide and every surgeon started to do it irrespective of operative skills and facility. This resulted in many complications of fracture healing including Nonunion. Well performed IIMN provide good stability against axial, rotational and bending forces. The Intramedullary nail acts as a load-sharing device, which allows physiologic compression of the fracture ends through relative stability. The advantages of intramedullary fixation include early mobilization of hip and knee joints, and less soft tissue damage . Union rate after intramedullary nailing is as high as 90% . Femoral Nonunion represents a serious socioeconomic problem for the patient, as it is associated with prolonged patient morbidity, gait abnormality, inability to return to work, re-operations and psycho-emotional impairment. It moreover stands as a treatment challenge for the orthopaedic surgeon, having to take factors into consideration such as different treatment modalities, deformity correction, treatment of infection and rapid rehabilitation of the patient. A recent study showed that reduction in quality of life was greater for long bone Nonunion than for diabetes, stroke or HIV . Inappropriate mechanical environment of the fracture (inadequate fracture stability), insufficient blood supply (avascularity), bone loss or the presence of infection are the main reasons for the development of a Nonunion . A study by Taitsman et al. states open fracture, tobacco use, and delayed weight bearing are risk factors for femoral Nonunion after intramedullary nailing for diaphyseal femoral fractures . The surgical factors associated with Nonunion of femur after intramedullary nailing was related to fracture site, fracture reduction, nail length and diameter. Nonunion was related significantly to distal fracture, unsatisfactory reduction and unreamed nailing . The systemic factors are now much more recognized, e.g., smoking, diabetes, and cachexia, as well as the limited impact of some medications, e.g., nonsteroidal anti-inflammatory drugs and steroids . However, the most common mechanical causes of Nonunion of femoral shaft fractures remains inadequate fracture stabilization and moreover, the increased rate of infection adds to the incidence. Infected Nonunion of a long bone continues to present difficulties in management, specially in the low and middle income countries. In addition to treating the infection, it is necessary to establish bony stability, encourage fracture union and reconstruct the soft-tissue envelope . Usually, the first aim is to eradicate the infection by means of aggressive surgical debridement, local and systemic pathogen specific antibiotics and temporary stabilization of the Nonunion area, followed by definite fixation of the Nonunion site and means of reconstitution of the bone/soft tissue defect either via distraction histogenesis with external fixation frames or internal fixation and bone grafting . In response to the multifactorial origin of Nonunion, the Diamond Concept for treatment was developed and described by Giannoudis et al. [13,14]. The Nonunion is evaluated according to the following criteria: osteogenic cells, osteoconductive scaffolds, mechanical environment, growth factors and vascularity. By identifying missing factors in each patient, an ideal strategy for treatment may be devised. A reasonable combination of biological and biomechanical approaches may greatly improve outcome . Several different treatment modalities are available to the surgeon, including nail dynamisation, plate osteosynthesis, external fixation, exchange nailing and adjuvant alternatives such as electrical or ultrasound stimulation, bone grafting with autogenous or allogenic bone grafts and Bone Morphogenetic Proteins (BMPs) . In cases where segmental defects are present, vascularized bone transfer and distraction osteogenesis can be used . Dynamisation is a simple method for treating femoral shaft fractures in patients with delayed healing after intramedullary nailing. However, only around half of patients with a slowhealing femoral shaft fractures have been successfully treated with this strategy . Reaming of the intramedullary canal possesses great osteoinductive properties and generates abundant reaming debris (autologous endogenous grafting). Both of these facilitate stimulation of the underlying bone repair mechanisms. Shroeder et al found 86% union rates after reamed exchange nailing [19,20]. However, Weresh et al. encountered failure with exchange nailing in all of 19 patients and advised reevaluation of the procedure . On the other hand the plating option while being more invasive compromising the biological environment of the Nonunion, allows excision of the fibrous tissue, direct visualisation of the Nonunion site and correction of both the rotational and the mechanical axis . Augmentation plating, without implant removal provides added stability to the fracture, with less operating time and less blood loss . However, enhanced mechanical stability by compression plating or intramedullary nailing remains the key mechanical factor to achieve union as most commonly the cause of Nonunion has been noticed due to mechanical instability. Occasionally bone graft can be used as an adjunct to exchange nailing or plating, in cases of oligotrophic or atrophic Nonunion. Newer modalities are available like shock wave therapy; autologous concentrated bone marrow-derived cells combined with dried bone allograft, Platelet rich plasma, and bone morphogenic proteins (rhBMP7), which are yet to be proven by large clinical studies in human population [23-25]. The goal of treatment is to achieve union in order to allow painless weight bearing and early rehabilitation of the patient. The surgical procedure chosen should preferably be a one-step that provides stability to the fracture restores length, alignment and rotation and allows early mobilization. Treatment with removal of the nail and compression plating serves the purpose in the aseptic Nonunion. However, in the cases with infected Nonunion, the control of infection and stability to promote union has traditionally been provided by 2 separate procedures, which have proved to be efficacious in the past. However, both these goals can be achieved with 1 surgical procedure in a variety of scenarios in our limited circumstances, using solid intramedullary nail. This 1-step surgical procedure eliminates the complications that can occur secondary to the use of external fixation and bone transport. It may also reduce the morbidity of 2 surgical procedures and inpatient admissions required for the two-stage procedures or for the application and removal of external fixators to that of a single procedure and inpatient admission. Additional procedures may be required with both treatment methods for achieving control of infection, bony union, or soft tissue coverage . Fakhry SM, Rutledge R, Dahners LE, Kessler D (1994) Incidence, management, and outcome of femoral shaft fracture: a statewide population-based analysis of 2805 adult patients in a rural state. The Journal of Trauma 37: 255-260. Weiss RJ, Montgomery SM, Al Dabbagh Z, Jansson KA (2009) National data of 6409 Swedish inpatients with femoral shaft fractures: stable incidence between 1998 and 2004. Injury 40: 304-308. Papakostidis C, Psyllakis I, Vardakas D, Grestas A, Giannoudis PV (2011) Femoral-shaft fractures and Nonunions treated with intramedullary nails: the role of dynamisation. Injury 42: 1353-1361. Wolinsky PR, McCarty E, Shyr Y, Johnson K (1999) Reamed intramedullary nailing of the femur: 551 cases. The Journal of Trauma 46: 392-399. Metsemakers WJ, Roels N, Belmans A, Reynders P, Nijs S (2015) Risk factors for Nonunion after intramedullary nailing of femoral shaft fractures: remaining controversies. Injury 46: 1601-1607. Schottel PC, O'Connor DP, Brinker MR (2015) Time trade-off as a measure of health-related quality of life: long bone Nonunions have a devastating impact. The Journal of Bone and Joint Surgery 97: 1406-1410. Gelalis ID, Politis AN, Arnaoutoglou CM, Korompilias AV, Pakos EE, et al. (2012) Diagnostic and treatment modalities in Nonunions of the femoral shaft: a review. Injury 43: 980-988. Taitsman LA, Lynch JR, Agel J, Barei DP, Nork SE (2009) Risk factors for femoral Nonunion after femoral shaft fracture. The Journal of Trauma 67: 1389-1392. Ma YG, Hu GL, Hu W, Liang F (2016) Surgical factors contributing to Nonunion in femoral shaft fracture following intramedullary nailing. Chinese Journal of Traumatology 19: 109-112. Verdonk R, Goubau Y, Almqvist FK, Verdonk P (2015) Biological methods to enhance bone healing and fracture repair. Arthroscopy : The Journal of Arthroscopic & Related surgery 31: 715-718. Bose D, Kugan R, Stubbs D, McNally M (2015) Management of infected Nonunion of the long bones by a multidisciplinary team. The Bone & Joint Journal 97: 814-817. Goff TA, Kanakaris NK (2014) Management of infected Nonunion of the proximal femur: a combination of therapeutic techniques. Injury 45: 2101-2105. Giannoudis PV, Einhorn TA, Marsh D (2007) Fracture healing: the diamond concept. Injury 38: 3-6. Giannoudis PV, Einhorn TA, Schmidmaier G, Marsh D (2008) The diamond concept-open questions. Injury 39: 5-8. Miska M, Findeisen S, Tanner M, Biglari B, Studier-Fischer S, et al (2016) Treatment of Nonunions in fractures of the humeral shaft according to the diamond concept. The Bone & Joint Journal 98: 81-87. Lynch JR, Taitsman LA, Barei DP, Nork SE (2008) Femoral Nonunion: risk factors and treatment options. The Journal of the American Academy of Orthopaedic Surgeons 16: 88-97. Lai D, Chen CM, Chiu FY, Chang MC, Chen TH (2007) Reconstruction of juxta-articular huge defects of distal femur with vascularized fibular bone graft and Ilizarov's distraction osteogenesis. The Journal of Trauma 62: 166-173. Huang KC, Tong KM, Lin YM, Loh el W, Hsu CE (2012) Evaluation of methods and timing in nail dynamisation for treating delayed healing femoral shaft fractures. Injury 43: 1747-1752. Shroeder JE, Mosheiff R, Khoury A, Liebergall M, Weil YA (2009) The outcome of closed, intramedullary exchange nailing with reamed insertion in the treatment of femoral shaft Nonunions. Journal of Orthopaedic Trauma 23: 653-657. Weresh MJ, Hakanson R, Stover MD, Sims SH, Kellam JF, et al. (2000) Failure of exchange reamed intramedullary nails for ununited femoral shaft fractures. Journal of Orthopaedic Trauma 14: 335-338. Benazzo F, Mosconi M, Bove F, Quattrini F (2010) Treatment of femoral diaphysealNonunions: our experience. Injury 41: 1156-1160. Jhunjhunwala HR, Dhawale AA (2015) Is augmentation plating an effective treatment for Nonunion of femoral shaft fractures with nail in situ? European Journal of Trauma and Emergency Surgery pp: 1-5. Scaglione M, Fabbri L, Dell'Omo D, Gambini F, Guido G (2014) Long bone Nonunions treated with autologous concentrated bone marrow-derived cells combined with dried bone allograft. Musculoskeletal Surgery 98: 101-106. Papanagiotou M, Dailiana ZH, Karachalios T, Varitimidis S, Vlychou M, et al. (2015) RhBMP-7 for the treatment of Nonunion of fractures of long bones. 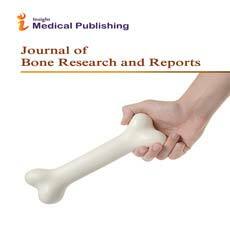 The Bone & Joint Journal 97: 997-1003. Shah RK, Singh RP, Quasem MF, Faruquee SR, Harrison J (2009) SIGN Interlocking Nail for the Treatment of Infected Nonunion. Techniques in Orthopaedics 24: 289-296.